Pale and interesting, a blondie is the white chocolate sister to a traditional brownie and is equally suited to anyone of the sweet-toothed persuasion. 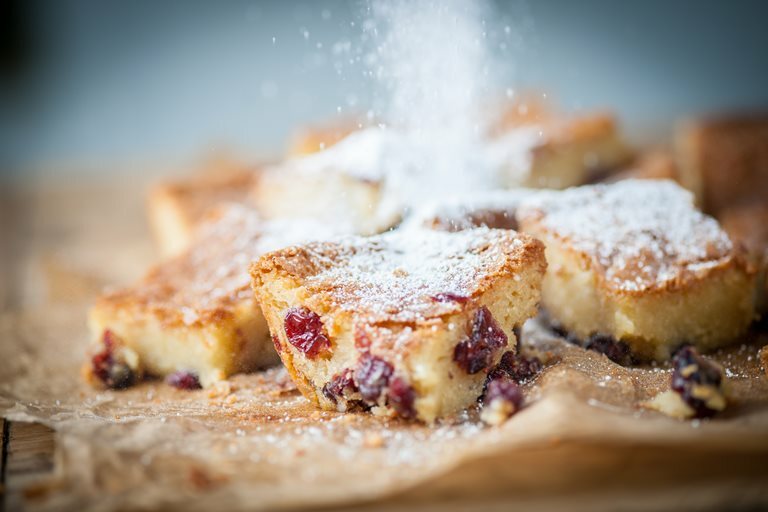 Adam Byatt's white chocolate brownie recipe is studded with crimson cranberries, which balance the sugary white chocolate with a slight tartness. For the ultimate Christmas flourish, decorate the baked blondies with edible silver balls and a dusting of snowy icing sugar.